Maximum demand is the maximum current which the consumers mains or submain conductors can carry for a sustained period without overheating. 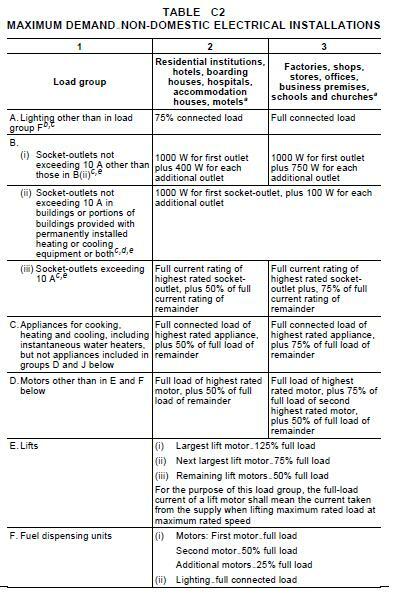 The maximum demand is not necessarily the sum of all the loads in an electrical installation. Diversity is applied in determining maximum demand on the basis that all loads may not operate at the same time or for sustained periods. AS3000 clause 2.2.2 explains that there are four ways to determine maximum demand . (iii) special types of occupancy exist. (c) Measurement The maximum demand may be determined by the highest rate of consumption of electricity recorded or sustained over any 15 min period or periods when demand is at its highest by a maximum demand indicator or recorder. (d) Limitation The maximum demand may be determined by the current rating of a fixed setting circuit-breaker, or by the load setting of an adjustable circuit-breaker. Calculation is a common question within the electrical mechanics capstone test. 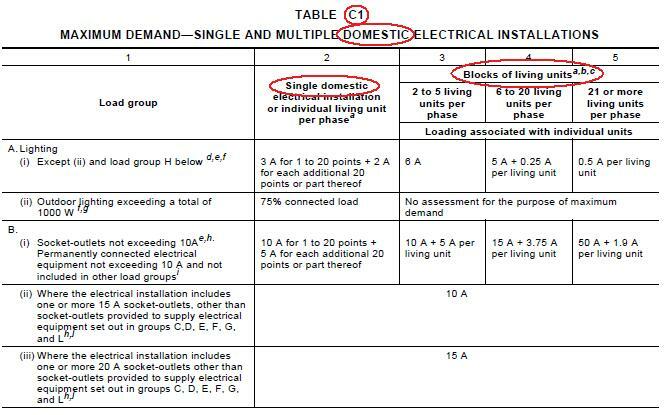 Table C1 calculation of domestic & C2 for commercial/industrial maximum demand. Click here for an example of a maxiumum demand calculation.